A powerful, blazingly honest, inspiring memoir: the story of a 1,100 mile solo hike that broke down a young woman reeling from catastrophe—and built her back up again. At twenty-six, Cheryl Strayed thought she had lost everything. In the wake of her mother's devastating death, her family scattered, and her own marriage was soon destroyed. With nothing more to lose, she made the most impulsive decision of her life: to hike the Pacific Crest trail from the Mojave Desert through California and Oregon to Washington State—and to do it alone. She had no experience as a long-distance hiker, and the trail was little more than "an idea, vague and outlandish and full of promise." But it was a promise of piecing back together a life that had come undone. Gorgeously told, sparkling with warmth and humor, Wild is the vivid story of a young woman forging ahead against all odds on a journey that maddened, strengthened, and ultimately healed her. I have mixed feelings about this book. While it was at the very least an interesting story, I had a hard time getting past the fact that Cheryl (author and main character) decided to go do something so monumental with so little preparation. Her whole adventure was set off by the death of her mother. She began to engage in very self destructive behavior (she divorces her husband, starts doing drugs, and sleeping around), and while I suppose her little adventure saved her life in a way, it also could have killed her just as easily as the dangerous life she was living prior to her journey. I think this story ranks right up there with Into the Wild as far as true stories of stupid people portrayed as heroes - seriously…who goes into the Alaskan wilderness without so much as a jacket?! 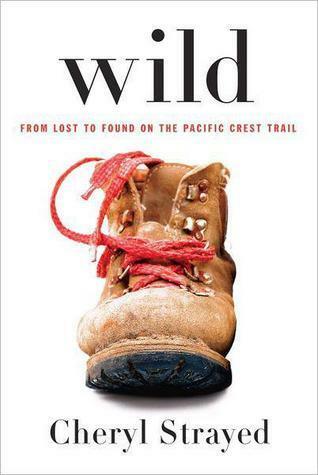 That being said, I did like the parts of the book about her actually hiking the PCT (Pacific Crest Trail) once I got over how dumb she was to try something so dangerous with absolutely no experience or clue what she was doing. I think the parts about her life earlier life seemed like they should belong in another book entirely. The two stories (while definitely related) just didn't go together very well. I also think that the ending left something to be desired. It simply ends when she finishes her hike. No reflections on how her journey affected her or how she feels about it so many years later. I think that really devalues the story and removes any possibility of it being an inspirational story about doing something hard to move on with your life. The lack of reflection makes the whole thing seem like she was bragging about how lucky she is that her stupidity didn't kill her. Moral of the story - kids…don't try this, you might not be so lucky.